Destination Weddings in the U.S. has risen from 20 percent in 2016 to 25 percent in 2017, according to The Knot 2017 Real Weddings Study released in February of this year. Crystal clear waters and white sandy beaches continue to draw the most romance travelers. With Mexico, Jamaica, Dominican Republic, Hawaii, Bahamas, St. Lucia and Florida being the top booked locations. · Reduced Cost - According to Th Knot Study, cost is the most important consideration for couples. Destination weddings can be an exciting way to cut down on the expenses. Many all-inclusive properties offer weddings (or vow renewals) at no additional cost for their basic ceremony and offer options to upgrade with more elaborate features. MemorableTimes can advise which resorts offer such options. · The planning of a Destination Wedding is easier – Most resorts and hotels offer on-site wedding coordinators to work with you and your travel consultant. Sandals Resorts offers couples a preview package to visit the resort of their choice. 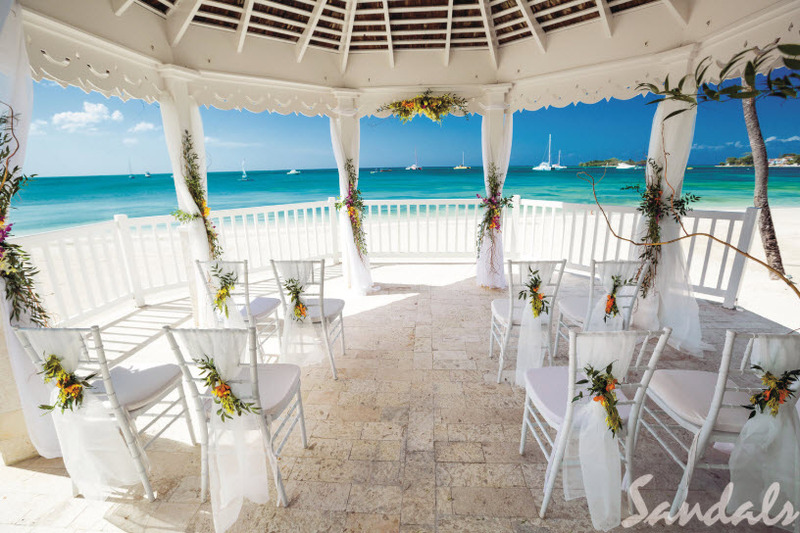 · There are many stunning locations that couples can choose from – Many resorts offer ceremonies by the sea, in a tropical garden, in a gazebo or in an over the water chapel. The choices are practically endless. · There are time and logistic savings - If desired, everything can take place at the resort – the ceremony, reception, photos and honeymoon. After the wedding, your guest can immediately relax and enjoy their vacation.